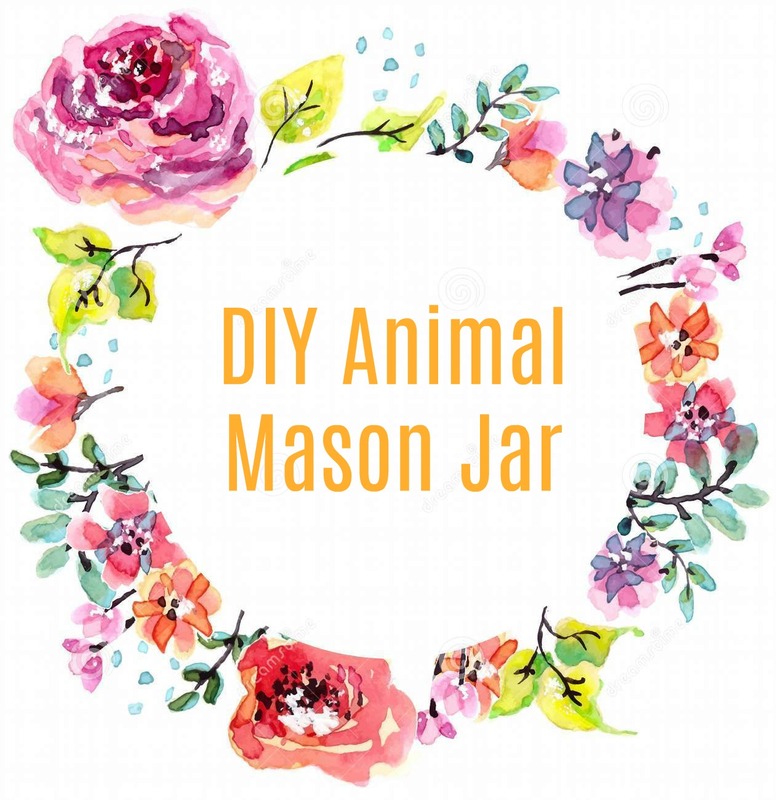 If you read my "Apartment Tour and Benefits of Living on Campus" post then chance are you saw my DIY Animal Mason Jars. These have by far been such a cute and practical touch to my dorm room. 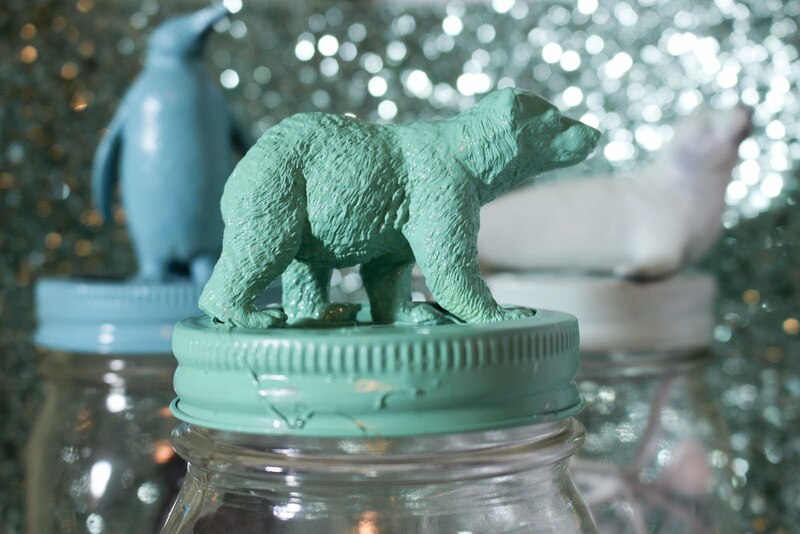 You can store so much in them, but they add a cuteness factor to plain storage. 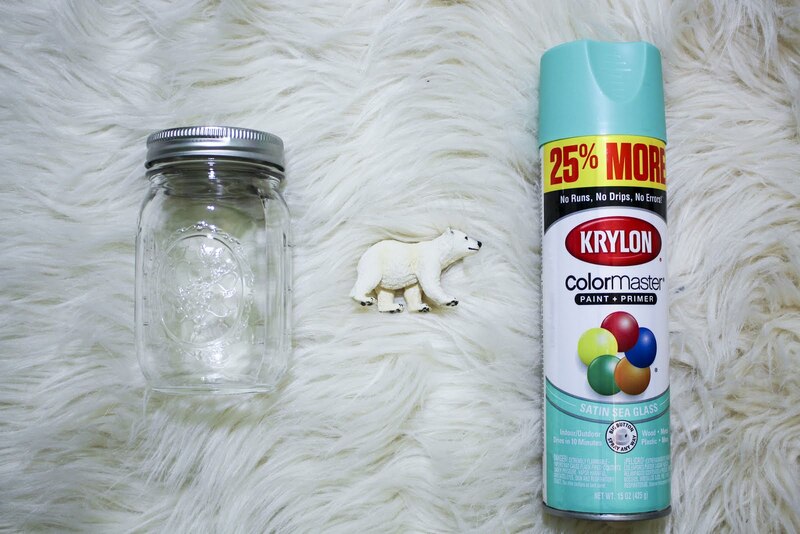 You could make a whole zoo worth of DIY Animal Mason Jars really! These are simple and fun to make! Perfect for a college dorm room! 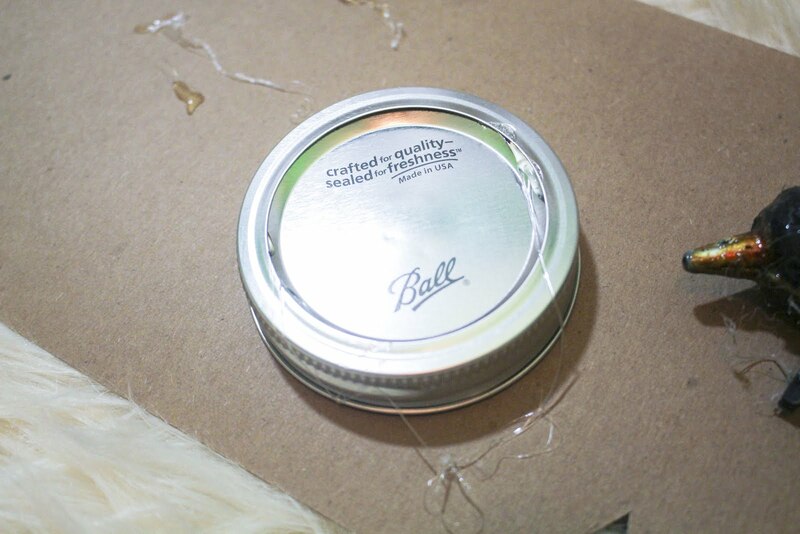 To begin, you'll want to glue the lid of your Mason Jar together. 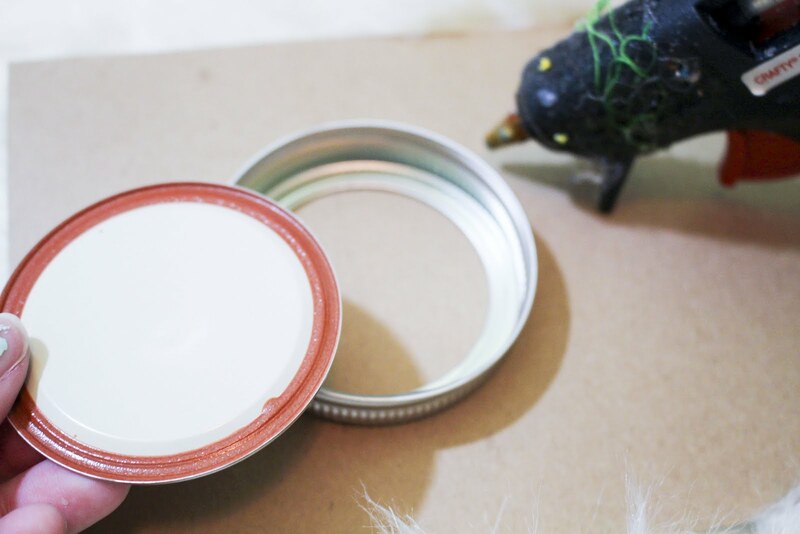 If you happen to find some mason jars with the lid already assembled then you can skip this step! 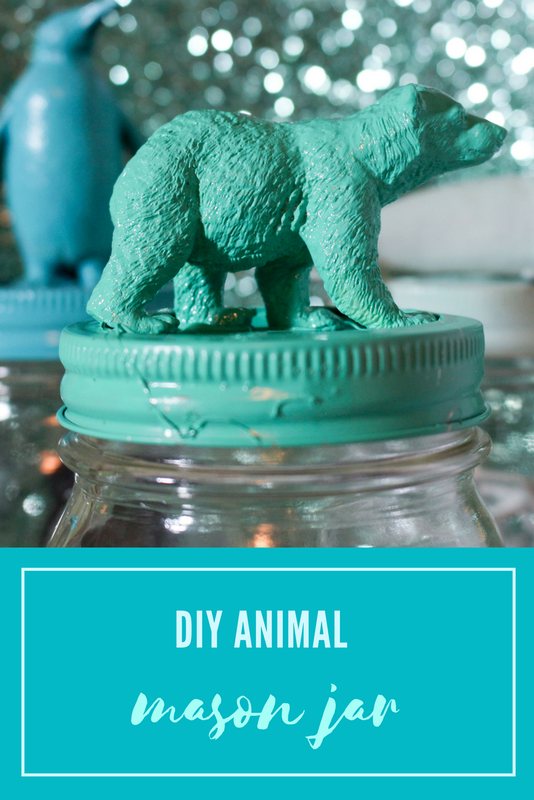 Next, take your plastic animal and hot glue the little fella to the top of the lid. 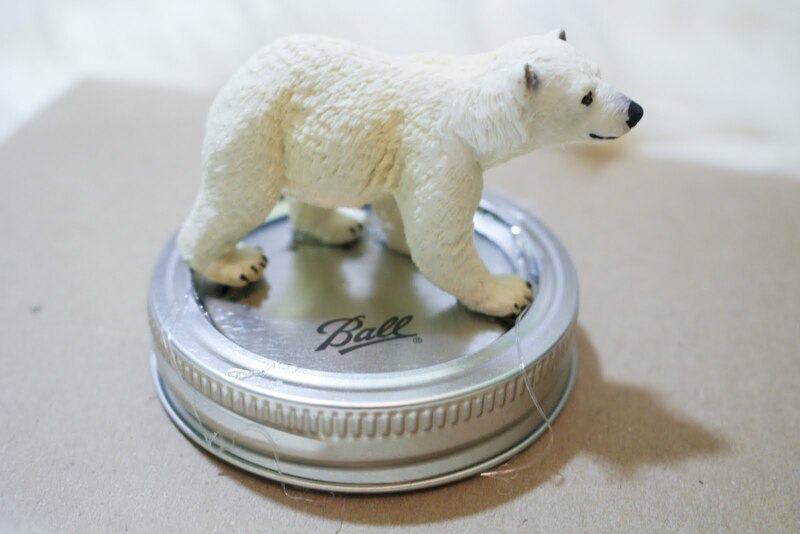 Your final step will be to spray paint your lid with the animal attached. 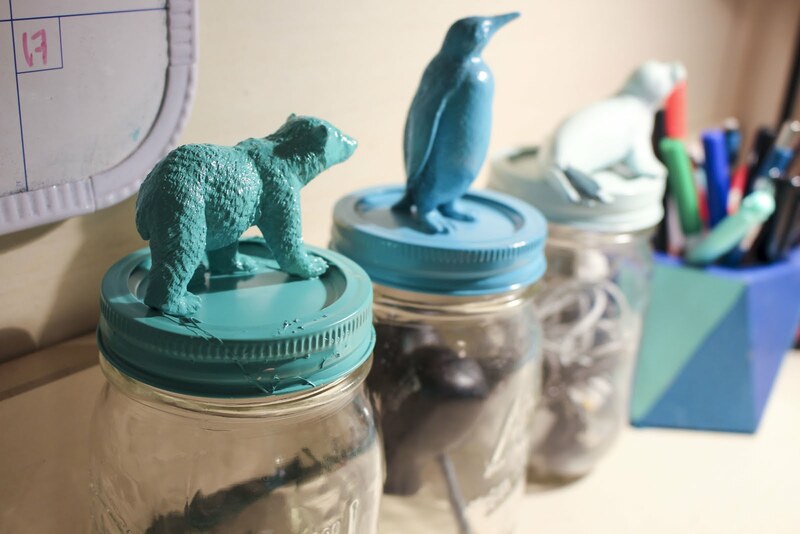 Now you have a cute animal mason jar to decorate your room with!